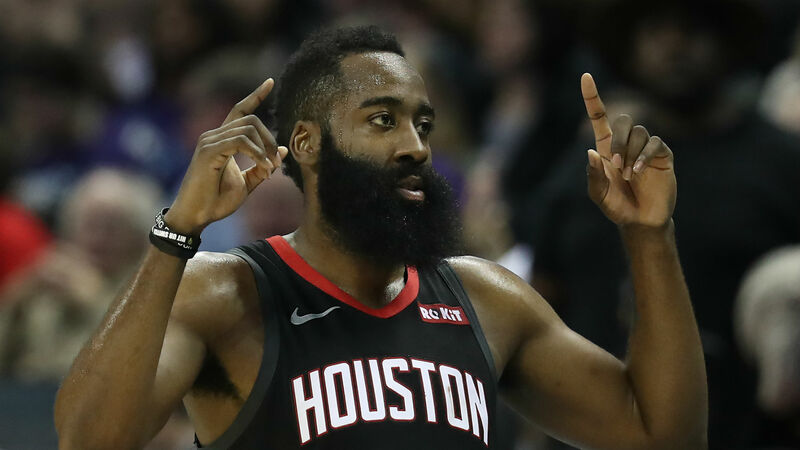 James Harden believes the Houston Rockets' defeat to the Golden State Warriors can help them in the long run, despite it ending their nine-game winning streak. The Rockets were beaten 106-104 at Toyota Center on Wednesday, their first reverse since February 21 against the Los Angeles Lakers. Harden recorded a double-double in the defeat as he scored 29 points, three rebounds and 10 assists, but ultimately it was not enough. However, he urged his team-mates not to be too downhearted as they enter the run-in to the NBA postseason. "It's alright, we lost, we know we did. A good thing about it is we play a game on Friday. I mean, listen, it's [just] one loss," said Harden. "We fought the entire game, it's just you're playing against a good team like that [and] you've got to play hard and smart. "Mentally we had a couple of lapses early in the game, especially in the first and second quarter, that gave them some open looks and that was it. "[But] we locked in and we got stops and we knew who they were guarding. We wanted to score, it should have been that way the entire game. Give them credit they made shots and played well. "We made a lot of mistakes, but we're never going to give up. We fought back until the last second and that's what it is. "We'll look at film, try to get better and move on to Phoenix on Friday and try to get better in every single game until the postseason. "It was a good game for us, we didn't come out with the win but [it's a] learning experience." One aspect Harden feels the Rockets need to work on is their rebounding, something he believes will be crucial if they want to go far in the playoffs. He added: "As a team we've got to rebound the basketball [better]. We're so good once we rebound the basketball and get out in transition. "But it makes it difficult no matter who we're playing, if you don't give a team second-chance opportunities."